This Crochet Easter Bunny Hat Pattern Is Adorable! Have you heard of weighted blankets? Weighted blankets therapy has been used for years to improve quality of life for kids and adults with different health challenges. 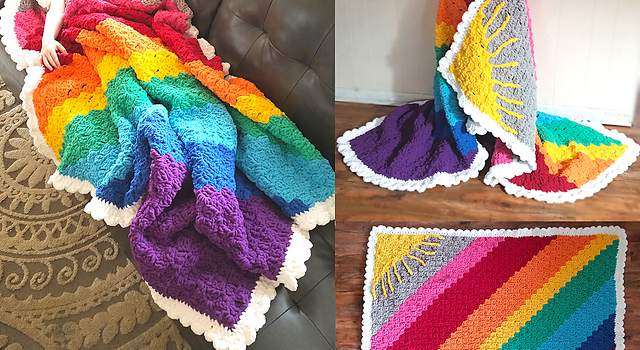 Rainbow “Weighted” Afghan by Stephanie Pokorny is an extremely calming afghan due to the heaviness with a joyful effect due to the happy design. The sunshine design is simply brilliant! This is a total of 2200 yards of super bulky weight yarn. These are the jumbo balls at 220 yards each. 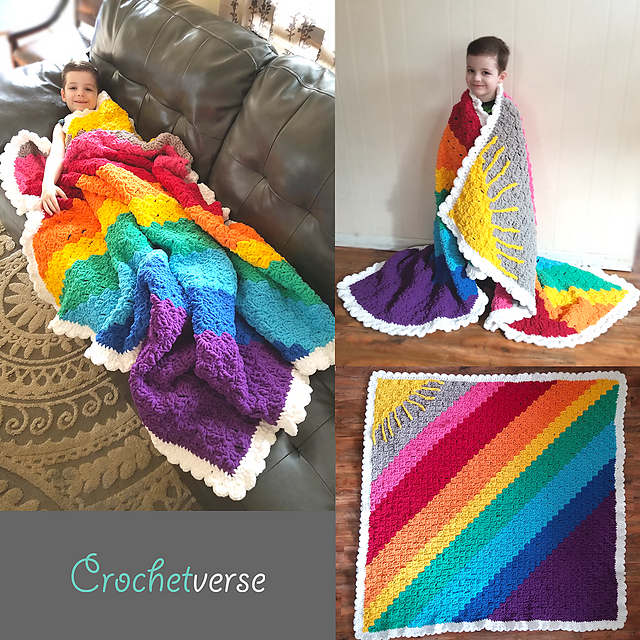 Check out the original source for this Rainbow Weighted Blanket Free Crochet Pattern with all the directions and full written patterns at: Crochetverse Website. Thanks to Stephanie Pokorny for the article inspiration and featured image.